Area veterans will gather and stage at the large parking lot below Caswell County Civic Center: meet at 9 AM. Chapel Hill Post 9100 announced today that the Hillsborough Chamber of Commerce is hosting their 28th annual Hillsborough Holiday Tour. This is always a festive event, but this year the theme includes remembering Hillsborough during the war years. If you have lived in Carolina for a lifetime, this may be a very special opportunity for you to go back in time to Christmas in the 1940’s, 1950’s, and 1960’s as our families celebrated Christmas during a war. Volunteer veterans are invited to serve as guides and helpers during this special six hour event on Saturday, December 7th. Why not dust off a family treasure or military cap and remember your service. Then pick up the phone and call to volunteer. You can contact the Military Order of the Purple Heart or Marine Corps League in Hillsborough to assist. Visit Chapel’s post website for full details. All posts in District 6 are invited to participate. 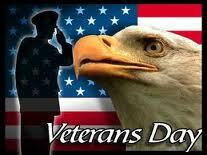 Hillsborough Grady Brown Elementary School is honoring local veterans on Tuesday, November 12th, at 1 p.m. This annual event is put on by the students and includes comments from the children and singing of patriotic songs. The event is followed by a reception. Veterans in District 6 are gathering in Creedmoor for a Veterans’ Day Golf Tournament, Monday, November 11, 2013. South Granville Country Club is the event ssite. Location is 2539 Sam Moss Hayes Road, Creedmoor, NC. Event sponsors are The Veterans of Foreign Wars, South Granville Country Club, the City of Creedmoore, Creedmoor United Methodist Church and many others. Korean War veterans will be honored at Heroes Homecoming III. Are your a veteran of the Korean War? This event is for you. The Fort Bragg Communities of Cumberland County created Heroes Homecoming as a way of showing recognition and appreciation to all veterans for their courage, their sacrifice and everything they do to defend this country’s freedom–now and forever. The Fayetteville area has always had a unique bond with veterans, as the point of departure and return for hundreds of thousands of soldiers. Heroes Homecoming II filled the parade stands! Fayetteville has hosted Heroes Homecoming since 2011, helping it to become the largest commemoration and reunion of its kind. From concerts and parades, to lectures and movie viewings, cultural celebrations and recognition ceremonies, all of the events at Heroes Homecoming recognize the service and sacrifice of our brave veterans. This year, on November 8-11, Fayetteville will honor veterans of the Korean War. Heroes Homecoming III will feature special appearances by three of the cast members from the hit TV series M*A*S*H. Jamie Farr (Corporal Klinger), Loretta Swit (Margaret “Hot Lips” Houlihan), and William Christopher (Father Mulcahy) will be in town to participate in a number of Heroes Homecoming III events, helping to pay tribute and say thank you to our brave Korean War veterans. You can visit the homecoming’s website at www.heroeshomecoming.com for more information, and our registration form. If you were not there, you missed a great day in the country full of flags, banners, and patriotic decorations announcing the birthday of our nation. The clouds were dark and threatening in Durham and Orange Counties, but in Caldwell, the sky was blue and clouds tall and white. There was an occasional sun shower, but nothing of significance. We were there for their annual July 4th Parade. A special thank you goes to District 6 posts in Chapel Hill and Durham for leading the parade. The Knights of Columbus patriotic assemblies in Chapel Hill and Durham also participated, as well as the Vietnam Veterans of American Chapter 530. We set up two tents for the Veterans of Foreign Wars and the VVA set up a third. Lots of grilled hot dogs and family dishes to share filled two tents. Our families lined the roadway to wave and cheer our veterans and the many local groups and families that added cars, trucks, floats, horses, bicycles and more. Past District Commander B J Boak brought the District “command car” golf cart and trailer to give rides to those who could not walk. The trailer proudly announced that Veterans of Foreign Wars were leading the parade. If you missed the parade, there is always next year and many other district events for you to support. When we show our presence we let others know that we care. 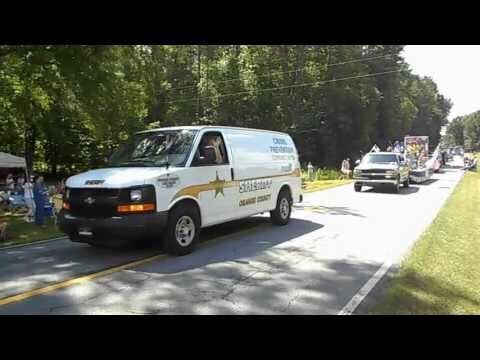 Here is a video of just a few minutes of a very long parade.